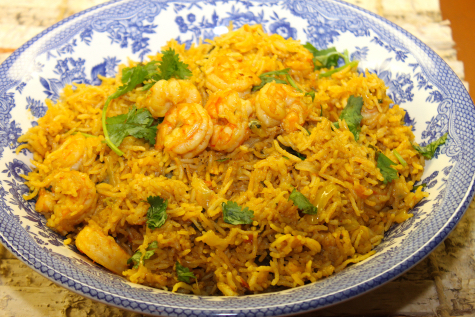 In just 20 minutes, you will devour the most delicious shrimp biryani. Many have tried my express chicken biryani and have received rave feedback. It’s a winning recipe. 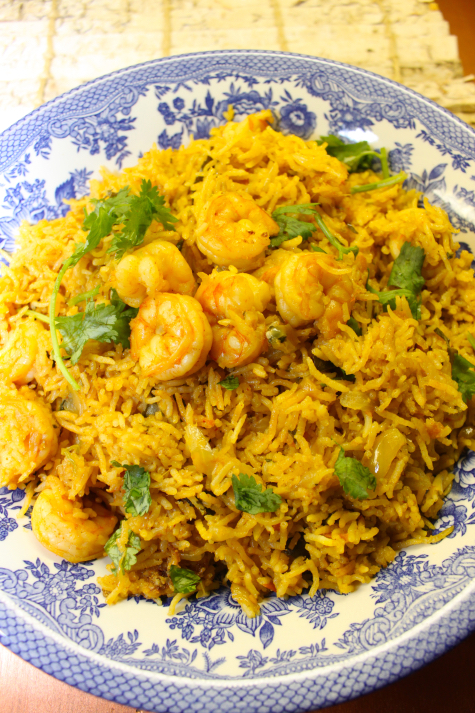 If you are a shrimp fanatic like me, you have to try this shrimp biryani in the Instant pot. Turned out super flavourful and delicious. You will end up making this over and over. 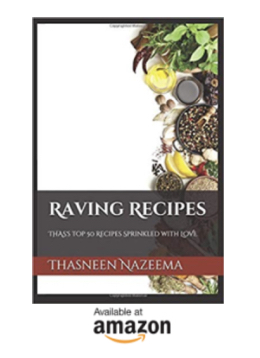 Place 2 cups basmati rice in a sieve, rinse under running water. Set aside. Soak 2 pinches saffron in 1 tbsp water for 3 minutes. Set aside. Turn on the Instant Pot. I used Ultra model. Select Saute Mode, normal temperature. Let hot sign display on the screen. Add oil and 2 tbsp ghee. Add whole cardamoms and dried bay leaves. Saute for a few seconds. Add onions, and ½ tsp salt. Saute for a minute. Add grated garlic, ginger and curry leaves. Combine well. Cook till onions turn light golden in color, 5 minutes. Add tomatoes, saute for 2 minutes. Add shrimp followed by Kashmiri chili powder, chili powder, turmeric powder, coriander powder, fennel powder, Garam masala and ½ tsp salt. Combine well. Add chopped cilantro and mint leaves. Add ½ tsp salt, combine well. Add the rinsed basmati rice. Combine well. Add saffron water and ghee. Add whole black peppercorns, this is optional. Close the Instant pot with its lid. After 5 minutes of cooking, do a quick pressure release. Open the lid, using a spatula give the biryani a good mix. Remove the stainless steel pot from the main pot. Keep covered with a lid for sometime. Serve with raita, papad, pickle etc.